Systems health monitoring is a method within the concepts of the Internet of Things, which permits the assessment of a system under its actual application condi tions. It integrates sensor data with models that enable in-situ assessment of the “health” (e.g. deviation or degradation) of a system from an expected normal operating condition and also predicts the future state of the system based on current and historic conditions. This presentation discusses some methods used for anomaly detection and prognostics, including the monitoring and reasoning of parameters that are precursors to impending “failure”, such as shifts in performance parameters; and the modeling of stress and degradation utilizing life cycle loads. Various actual implementations, including the failure of the Boeing 787 battery system, will be given. Prof Michael Pecht has a BS in Physics, an MS in Electrical Engineering and an MS and PhD in Engineering Mechanics from the University of Wisconsin at Madison. He is a Professional Engineer, an IEEE Fellow, an ASME Fellow, and an SAE Fellow. 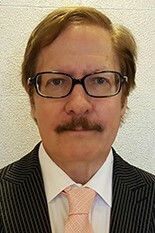 He is the editor-in-chief of IEEE Access, and served as chief editor of the IEEE Transactions on Reliability for nine years, and chief editor for Microelectronics Reliability for sixteen years. He has also served on three U.S. National Academy of Science studies, two US Congressional investigations in automotive safety, and as an expert to the U.S. Food and Drug Administration (FDA). He is the founder and Director of CALCE (Center for Advanced Life Cycle Engineering) at the University of Maryland, which is funded by over 150 of the world’s leading electronics companies at more than US$6M/year. The CALCE Center received the NSF Innovation Award in 2009 and the National Defense Industries Association Award. He is currently a Chair Professor in Mechanical Engineering and a Professor in Applied Mathematics, Statistics and Scientific Computation at the University of Maryland. He has written more than twenty books on product reliability, development, use and supply chain management. He has also written a series of books of the electronics industry in China, Korea, Japan and India. He has written over 700 technical articles and has 8 patents. In 2015 he was awarded the IEEE Components, Packaging, and Manufacturing Award for visionary leadership in the development of physics-of-failure-based and prognostics-based approaches to electronic packaging reliability. He was also awarded the Chinese Academy of Sciences President’s International Fellowship. In 2010, he received the IEEE Exceptional Technical Achievement Award for his innovations in the area of prognostics and systems health management. In 2008, he was awarded the highest reliability honor, the IEEE Reliability Society’s Lifetime Achievement Award. The Internet opened the world of electronic commerce to people and businesses everywhere. Transactions of all kinds, from business deals to banking to logistics to consumer shopping, utilize a global infrastructure of optical and wireless transmission, packet switching, databases filled with sensitive and confidential information, and cloud-based processing. But change is coming. The Internet’s model of non-preferential service may disappear; reliance on centralized trusted authorities for verification of transactions and maintenance of record-keeping ledgers may yield to broadly distributed models; and electronic currencies such as Bitcoin may go beyond “hype” to become commercial realities. This overview addresses these trends and touches on blockchain and other technologies that are the foundation of the new business models. Stephen B. Weinstein (Steve) received his SB, MS, and PhD degrees in Electrical Engineering from M.I.T., the University of Michigan, and the University of California at Berkeley respectively. After a long career with Bell Laboratories, American Express, Bellcore (Telcordia), and NEC Research Labs America, he is now a consultant to patent law firms and the communications industry. He is a Life Fellow of the IEEE and a past President (1996-97) of the IEEE Communications Society (ComSoc). He was the 2012-2015 Founding Chair of the CIC-IEEE China Communications magazine steering committee. 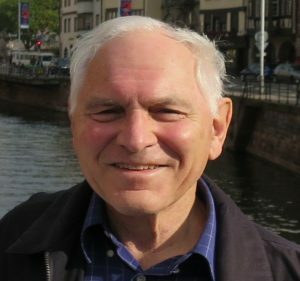 Dr. Weinstein is best known for pioneering research on generation of OFDM signals using the fast Fourier transform, for which he received the 2006 Eduard Rhein Foundation (Germany) basic research prize. He contributed to electronic commerce security with early work on authentication of smart cards. He is the author of Getting the Picture: A Guide to CATV and the New Electronic Media (IEEE Press, 1984), co-author of the textbook Data Communication Principles (Plenum, 1992), the author of The Multimedia Internet (Springer, 2005), an overview of the technologies supporting audio/video media on the Internet, and co-author of the ComSoc Guide to Passive Optical Networks (Wiley-IEEE Press, 2012). Han-Chieh Chao received his M.S. and Ph.D. degrees in Electrical Engineering from Purdue University, West Lafayette, Indiana, in 1989 and 1993, respectively. He is currently a professor with the Department of Electrical Engineering, National Dong Hwa University, where he also serves as president. 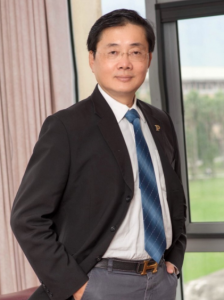 He is also with the Department of Computer Science and Information Engineering and the Department of Electronic Engineering, National Ilan University, Taiwan; College of Mathematics and Computer Science, Wuhan Polytechnic University, Wuhan, China, and Fujian University of Technology, Fuzhou, China. He was the Director of the Computer Center for Ministry of Education Taiwan from September 2008 to July 2010. His research interests include IPv6, Cross-Layer Design, Cloud Computing, IoT, and 5G Mobile Networks. He has authored or co-authored 4 books and has published about 400 refereed professional research papers. He has completed more than 150 MSEE thesis students and 11 Ph.D. students. Dr. Chao has been invited frequently to give talks at national and international conferences and research organizations. He serves as the Editor-in-Chief for the Institution of Engineering and Technology Networks, the Journal of Internet Technology, the International Journal of Internet Protocol Technology, and the International Journal of Ad Hoc and Ubiquitous Computing. He is a Fellow of IET (IEE) and a Chartered Fellow of the British Computer Society. Due to Dr. Chao’s contribution of suburban ICT education, he has been awarded the US President’s Lifetime Achievement Award and International Albert Schweitzer Foundation Human Contribution Award in 2016.